Size of this PNG preview of this SVG file: 600 × 600 pixels. Other resolutions: 240 × 240 pixels | 480 × 480 pixels | 768 × 768 pixels | 1,024 × 1,024 pixels | 601 × 601 pixels. 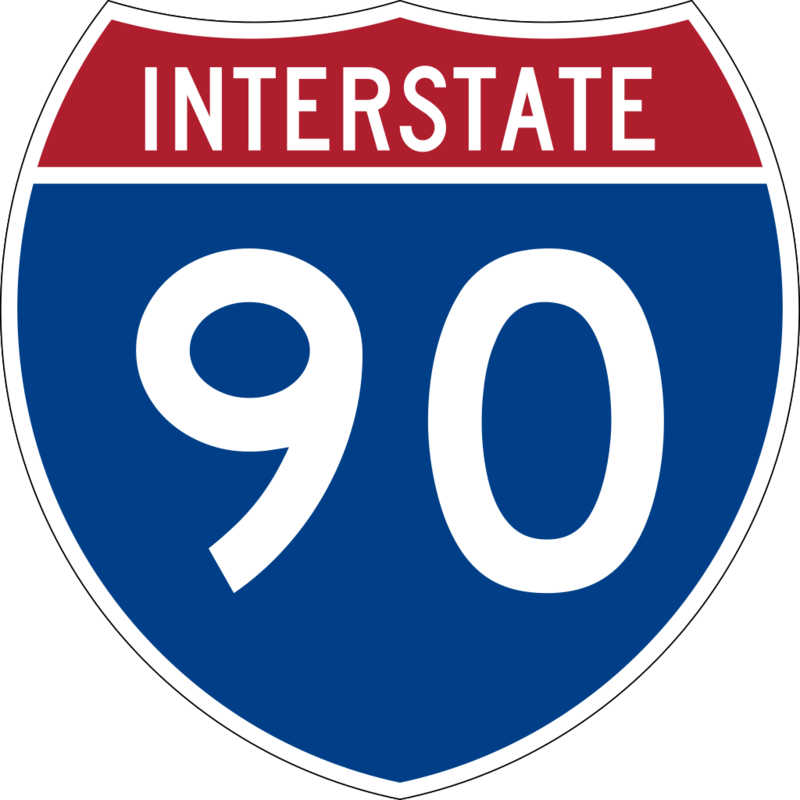 600 mm by 600 mm (24 in by 24 in) Interstate shield, made to the specifications of the 2004 edition of Standard Highway Signs (sign M1-1). Uses the Roadgeek 2005 fonts. (United States law does not permit the copyrighting of typeface designs, and the fonts are meant to be copies of a U.S. Government-produced work anyway.) Colors are from  (Pantone Red 187 and Blue 294), converted to RGB by . The outside border has a width of 1 (1 mm) and a color of black so it shows up; in reality, signs have no outside border.